Stephanie Crase, Sarah Chadwick and Nick Walton have put together a disabled chunk of amazing and strange pictures and curios. 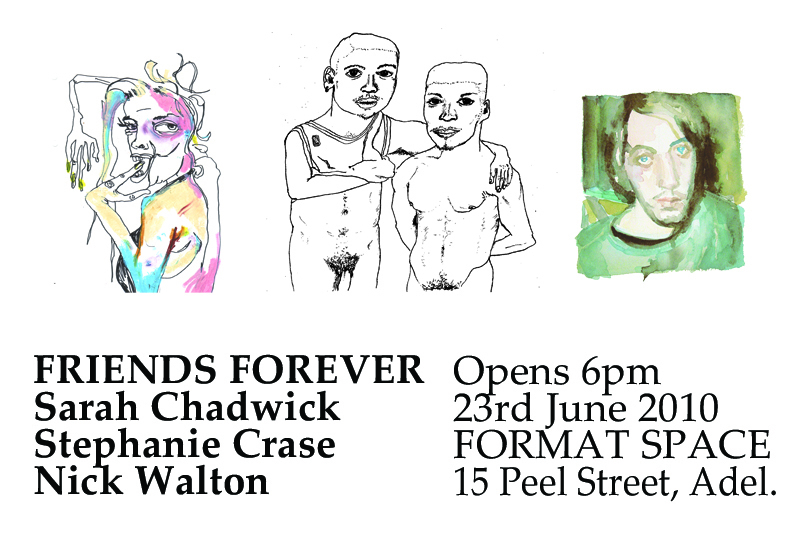 Format Gallery is launching it’s very own project space. The ChangeRoom is designed to hold site-specific installations by local, emerging artists. The ChangeRoom is launching on the 23rd of June with a collaborative installation by Format’s visual arts coordinator Chloe Langford and The ChangeRoom curator Riley O’Keeffe.